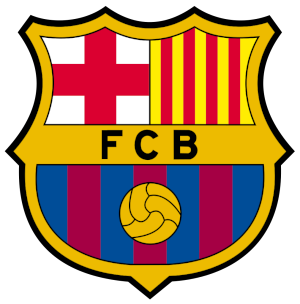 2016-2017 La Liga Season Preview – The Catalan Clubs | Tiki-Taka-Gol! Catalonia came close to adding to its two top flight clubs last season with Girona and Gimnastic Tarragona both making the Segunda Division play-offs but both fell just short. That leaves Barcelona and city rivals Espanyol to battle it out for the bragging rights in this part of the world again and in truth there is only likely to be one winner. Barcelona are aiming to win the league for the third year running and they are very much still the team to beat. They’ve bolstered their squad over the off-season with the addition of four players who all happen to be 22 and have been bought with one eye on the future. Barcelona’s first choice eleven will almost certainly be what it was last season with the exception of Dani Alves who has left to join Juventus. The big question really is how much faith Luis Enrique is willing to put in his new arrivals and fringe players. He barely rotated at all in the league or Champions League last season and fatigue was blamed for their miserable run of form in April that saw them exit Europe and nearly throw away the league title. The squad looks to have more depth to it this time but the front three remain almost irreplaceable. When you come into a season having won domestic doubles in each of the previous two campaigns and have a team as strong as Barcelona there can be only one aim and that’s to try and win every competition you enter. This is likely to be the toughest of Luis Enrique’s three seasons at the helm. The likes of Luis Suarez and Neymar will be making several long trips to South America to play highly competitive World Cup qualifiers. Leo Messi has just been through the most challenging few months of his career and Barcelona still look extremely dependent on the trio. If a couple of them were to go off the boil or get injured at the same time, the title could very well head to Madrid. Espanyol have changed their coach again with Constantin Gâlcă dismissed at the end of last season after just 24 games in charge. He did enough to steer them to safety but no more than that. The Barcelona club look to have pulled off something of a coup by capturing the services of Quique Sánchez Flores but in terms of playing personnel changes there is little that suggests they will improve on last season’s 13th place finish. Espanyol will have to do without Marco Asensio, who was their main creative threat last season but has returned to parent club Real Madrid and will be hoping one or two players who under-performed last term will rediscover their best form. Espanyol are the epitome of a mid-table club and have finished between 8th and 14th in all of the last 10 seasons. They don’t possess anywhere near enough quality to threaten the European places so once again a mid-table finish is about as high as they can realistically aim. They had the worst defensive record in the league last year, lack a consistent goalscorer and have lost their best creative player so this could be a very tricky season for Espanyol. Luckily there should still be at least 3 worse teams than them but they are in danger of dropping into the bottom six for the first time in a decade.